McConnell wants what? Bipartisanship? For real? I gave myself one of those proverbial forehead slaps when I heard this tidbit: U.S. Senate Majority Leader Mitch McConnell wants there to be more “bipartisanship” in the next Congress. Huh? He said what? This comes in the form of an op-ed column from the obstructionist in chief on Capitol Hill? Uh, huh. He said that. The 2012 presidential election, of course, dashed Leader McConnell’s dream. President Obama won re-election. Then came the congressional Republican caucuses singular effort to repeal the Affordable Care Act. They staged countless votes in the Senate and the House. They came up short. Who led the charge? Mitch did, that’s who. And then we had the obstruction to end all obstructions in early 2016. Supreme Court Justice Antonin Scalia, a conservative icon on the court, died suddenly in Texas. Justice Scalia’s body had barely gotten cold when McConnell declared that President Obama would not get the chance to replace him. Oh sure, the president can nominate someone, McConnell said, but Republicans were not going to move the nomination forward. Obama nominated federal Judge Merrick Garland — a supremely qualified man — only to watch his nomination wither and die. We had a presidential election to conclude and McConnell banked on the hope that a Republican would be elected. His gamble paid off with Donald Trump’s election. Now the majority leader wants a more bipartisan atmosphere on Capitol Hill. Pardon me while I bust out laughing. The next Congress will be split. Democrats will control the House; Republicans will lead the Senate. Bipartisanship certainly is the preferred way to govern. That such a call would come from the U.S. Senate’s leading obstructionist gives “gall” a bad name. Hypocrisy is king in Washington, D.C.
Not the truth. Not nobility. Not high ideals or soaring rhetoric. It’s hypocrisy that rules. It has cemented its vise-grip on U.S. politics and government. The Brett Kavanaugh battle is over and the judge is now Justice Kavanaugh, the ninth member of the U.S. Supreme Court. Who is the Hypocrite in Chief? I’ll hand that dubious honor to Senate Majority Leader Mitch McConnell. 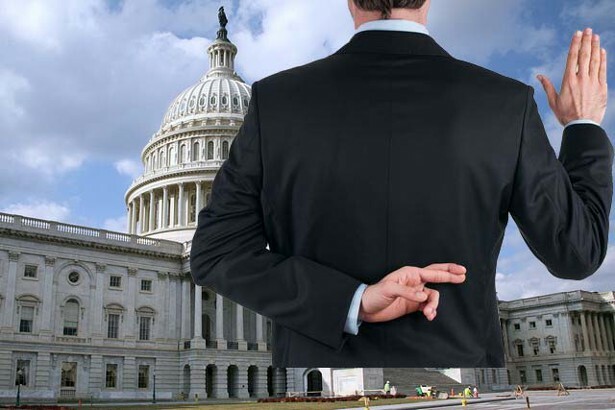 You’ve read on this blog already my distaste for the hypocrisy exhibited by Democratic Sen. Richard Blumenthal — who once lied about serving in the Vietnam War — and his lecturing of Kavanaugh about whether lying about one thing means he lies about all things. The Hypocrite in Chief (dis)honor goes to McConnell because of the ramrod job he pulled in shoving Kavanaugh’s nomination through. And then he blames Senate Democrats for “obstructing” the process and for “playing politics” with this nomination. McConnell wrote the book on obstruction in early 2016 upon the death of Justice Antonin Scalia. The justice died in Texas and McConnell immediately declared that President Barack Obama would not fill the vacancy created by Scalia’s death. Obama went ahead with his nominating process, selecting U.S. District Judge Merrick Garland to succeed Scalia. 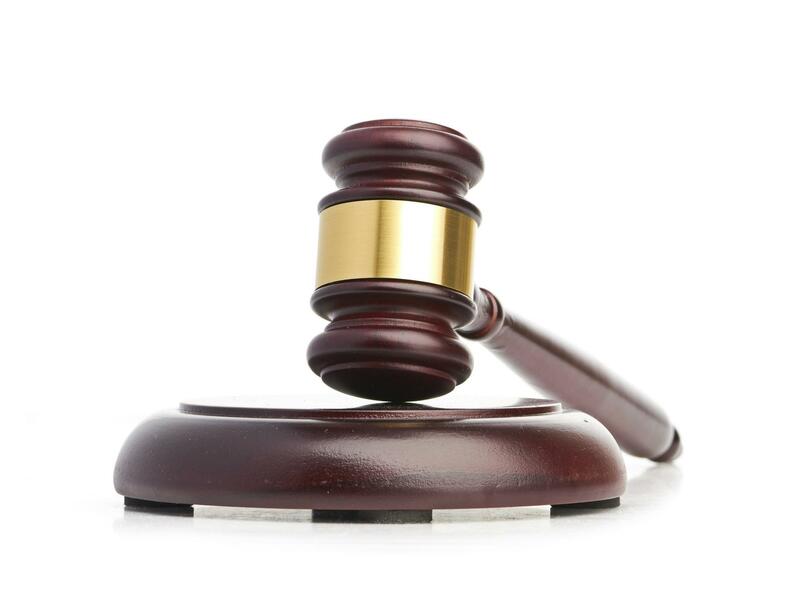 Garland didn’t get a hearing before the Senate Judiciary Committee. He didn’t get the courtesy of meeting with Republican senators privately. McConnell said that the president was not entitled to replace Scalia during an election year. He gambled that a Republican would win the 2016 election and then would be able to nominate someone of his choosing. 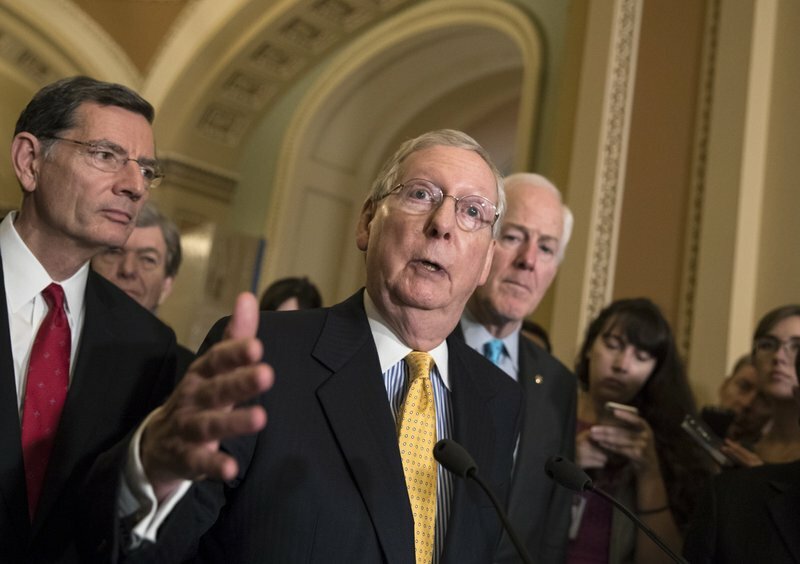 McConnell’s cynical gamble paid off. Donald Trump won. He nominated Neil Gorsuch to the high court. The Senate confirmed him. And all the while McConnell tossed out “obstruction” epithets at Senate Democrats who were rightfully steamed that a Democratic president had been denied the right to fulfill his own constitutional duties in seeking to fill a Supreme Court seat. Then came the Kavanaugh nomination. McConnell greased it to allow Kavanaugh to be confirmed after a perfunctory secondary FBI investigation that — big surprise! — turned up no corroboration to the allegation that Kavanaugh sexually assaulted a young woman in the early 1980s. The obstructionist named McConnell then had the temerity to hammer at Senate Democrats for their own resistance to Kavanaugh’s nomination. So … take a bow, Hypocrite in Chief Mitch McConnell. Let’s review briefly the course that two U.S. Supreme Court nominations took. In early 2016, Justice Antonin Scalia died. President Barack Obama not long afterward nominated Judge Merrick Garland to succeed the conservative judicial icon. Senate Majority Leader Mitch McConnell didn’t wait for the nomination to come forward. He declared within hours of Scalia’s death that Obama would not replace Justice Scalia under any circumstance. The SCOTUS seat remained vacant for the rest of that year. Donald Trump got elected president and then nominated Neil Gorsuch. The Senate heard from the nominee, then confirmed him. It was the delay that enraged so many Americans. The Republican Senate majority had no problem dragging its feet to await the outcome of the 2016 election. What a change has occurred. Justice Anthony Kennedy retired from the Supreme Court. The president then nominated Brett Kavanaugh to succeed him. Judge Kavanaugh went through the confirmation hearing before the Judiciary Committee. Then a woman came forward to allege that the nominee assaulted her sexually when they were in high school. Then we hear from two more women who said essentially the same thing. The GOP majority was having none of it. The committee heard from one of the women and from Kavanaugh. Now the Judiciary panel is going to vote today whether to confirm Kavanaugh’s nomination. The majority says it cannot wait. It has to rush this nomination forward. The questions about what happened in the early 1980s? Hey, minds are made up. So … one president’s nomination gets stonewalled for a year. Another one’s selection hops on the fast track. Donald John Trump suffers acute short-term memory loss. 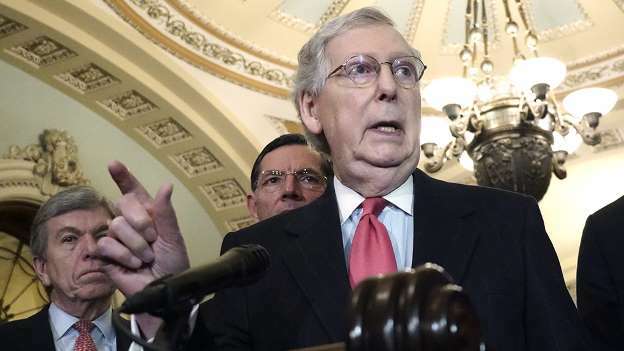 “Mitch M” is Senate Majority Leader Mitch McConnell, whose picture should appear next to the dictionary definition of “obstructionist.” Why is that? Well, he obstructed President Barack Obama’s choice for the U.S. Supreme Court seat vacated by the death of Justice Antonin Scalia. Obama nominated federal judge Merrick Garland, a supremely qualified candidate. McConnell obstructed the nomination even before the president announced it, declaring that in 2016 there would be an election first and that Obama would not be allowed to fill this seat even though he had nearly a year to go before moving aside for the next president. 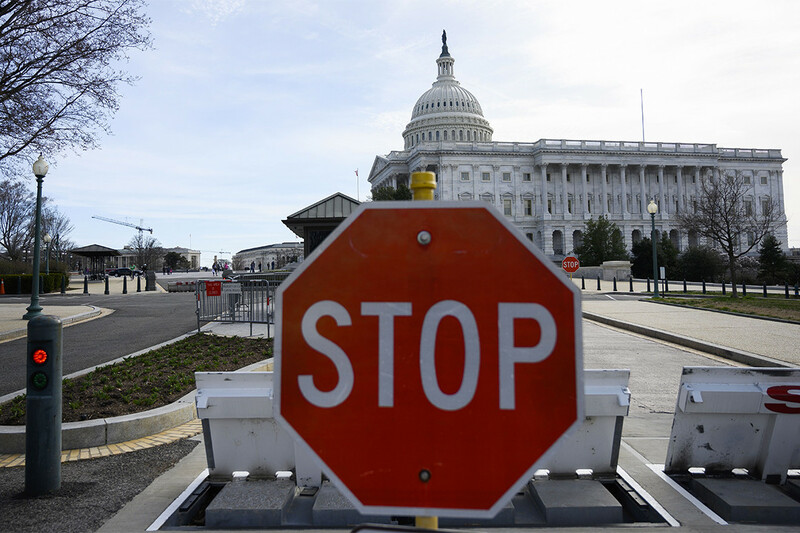 Obstructionist, Mr. President? “Mitch M” is the king of obstructionists. Schumer to Trump: Why not select Merrick Garland? It won’t happen in this universe, but it’s worth calling attention to this strange idea. U.S. Senate Minority Leader Chuck Schumer — the Senate’s top Democrat — has urged Donald Trump to select Merrick Garland to succeed Anthony Kennedy on the U.S. Supreme Court. Hell would freeze over, Earth would spin off its axis and the sun would rise in the west for that to happen. Schumer is making the request in the name of national unity. Garland, a centrist appeals court judge, was nominated by President Barack Obama in 2016. 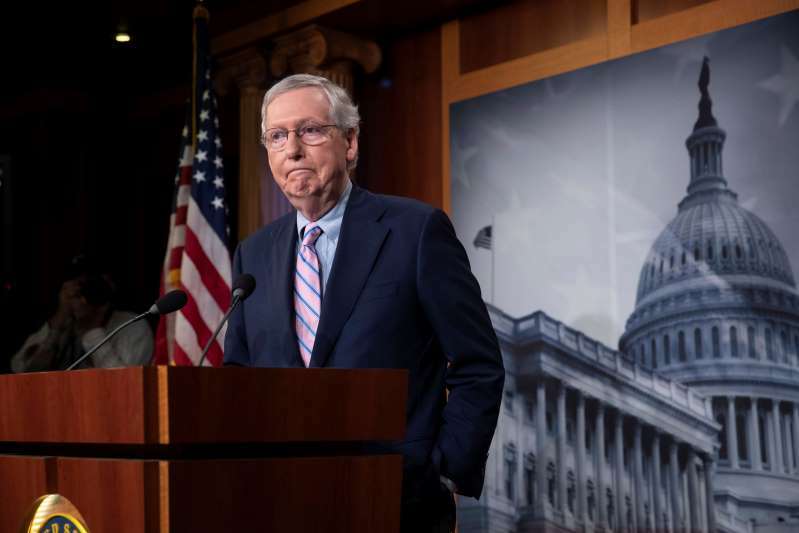 Senate Majority Leader Mitch McConnell — within hours of the death of Justice Antonin Scalia — declared any high court nominee Obama would put forward would go nowhere. McConnell announced his intention to obstruct the nomination and confirmation process. Garland got nominated. His nomination languished. Trump got elected president. The new president nominated Neil Gorsuch, who then was confirmed. We’re still divided, significantly because of the theft of the Supreme Court seat by McConnell. Unification could occur if Trump were to follow Schumer’s advice. I mean, Trump has promised unity. Hasn’t he? It won’t happen. The idea of nominating Merrick Garland does cause a tingle or two among many of us out here. I’m one of them.